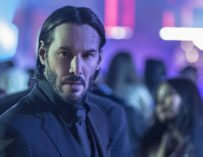 The director of John Wick and John Wick: Chapter 2, Chad Stahelski, has confirmed that he’ll be helming John Wick: Chapter 3 and he also revealed that Keanu Reeves wants Tidla Swinton to join the franchise. 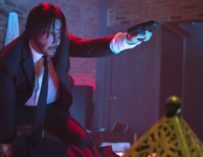 The John Wick franchise has turned out to be one of the surprise hits of the past few years and has successfully made Keanu Reeves relevant again. He’s always been one of my favourite actors ever since I first saw him in Point Break. He went on to star in Speed and The Matrix trilogy but then his career took a bit of a downward turn. That is until John Wick propelled him back into the big time and confirmed his place as one of Hollywood’s greatest action movie stars. He does all his own stunts despite being in his early 50s and looks great doing them. The John Wick franchise is now into its third movie and a spinoff TV show set in the Continental Hotel is in production. It’s been a huge success story and direct Chad Stahelski has confirmed that he’ll be returning to direct John Wick: Chapter 3. Stahelski directed the first movie alongside David Leitch whose currently working on Deadpool 2. Stahelski went on to direct John Wick: Chapter 2 solo and he reportedly told That Hashtag Show that shooting on Chapter 3 will begin on March 1st in New York City and that additional filming will possibly take place in Spain and Russia. 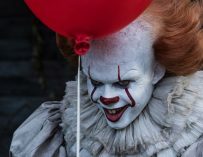 The outlet also reported that Common, Laurence Fishburne, Ruby Rose and Ian McShane are all set to return. There are also reports that John Wick: Chapter 3 will involve a Japanese crime syndicate and that Hiroyuki Sanada (The Wolverine and Avengers 4) will play the head of said organisation. John Wick may very well have a bone to pick with him. There are also rumours that Keanu Reeves is looking to bring Tilda Swinton into the franchise and that the studio is currently looking for an actress in her late 20s to early 40s. This might possibly be for the role that Reeves wants Swinton to play but nothing has been confirmed on that front. Are you guys looking forward to John Wick: Chapter 3? Let us know in the comments below. John Wick: Chapter 3 is set to hit theatres on May 17th, 2019.